Meeting regulations and compliance are increasing pressure on marine professionals, on the ship as well as ashore. Going beyond compliance, improving day-to-day operations efficiency has become a challenge. 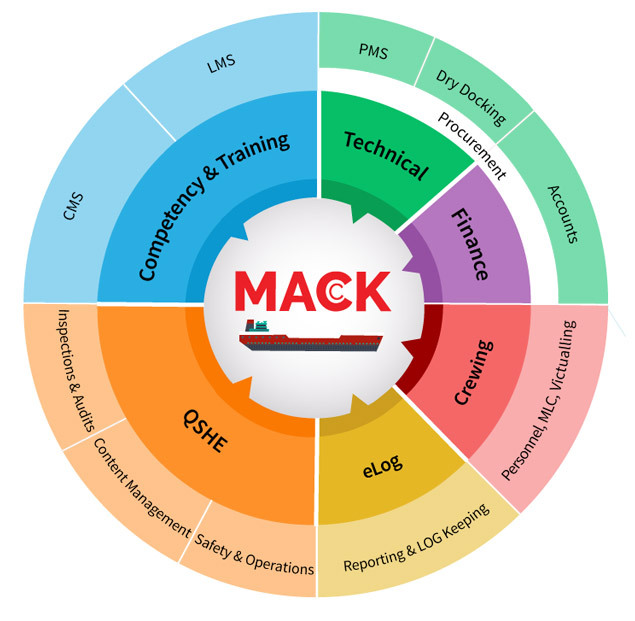 SVM MACK is a comprehensive Ship Management system(Ship Management Solution), which is compatible with multiple formats. It has a secure and access controlled repository and centralizes information available to all the business layers. The system helps to collaborate and achieve compliance with the international regulations and standards, track performance, and improve operations efficiencies.